The dreaded Emerald Ash Borer (EAB) continues to cause havoc across Illinois, and beyond. As I drive around Peoria and Tazewell counties, I see dead and dying ash trees everywhere. Although it looks like the insect is killing the trees quickly, it is likely that the borer has been there for a few years. Of the four counties that I cover as a Horticulture Educator with University of Illinois Extension, EAB has only been confirmed in Peoria and Tazewell counties. However, I strongly suspect that it is also in Fulton and Mason counties. The Illinois Department of Agriculture (IDOA) and USDA both remain interested in tracking new county records, so if you suspect EAB in trees within unconfirmed counties, please report it to your Extension office, IDOA, or USDA. 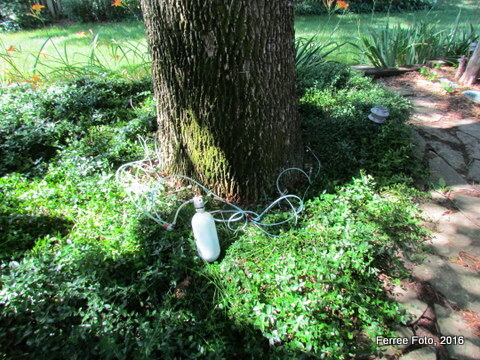 If you have an ash tree in your yard, it is a good idea to make plans for how to deal with it. Unfortunately, it is inevitable that all ash trees here are either already dead or will eventually die from EAB, if no early action is taken. You have several choices: immediately remove dead and dying ash trees, do nothing and remove it later, or treat it chemically to manage the borer or prevent initial or further infestation. Since all options can be costly, you might want to budget for it now. I have two ash trees growing in my yard. 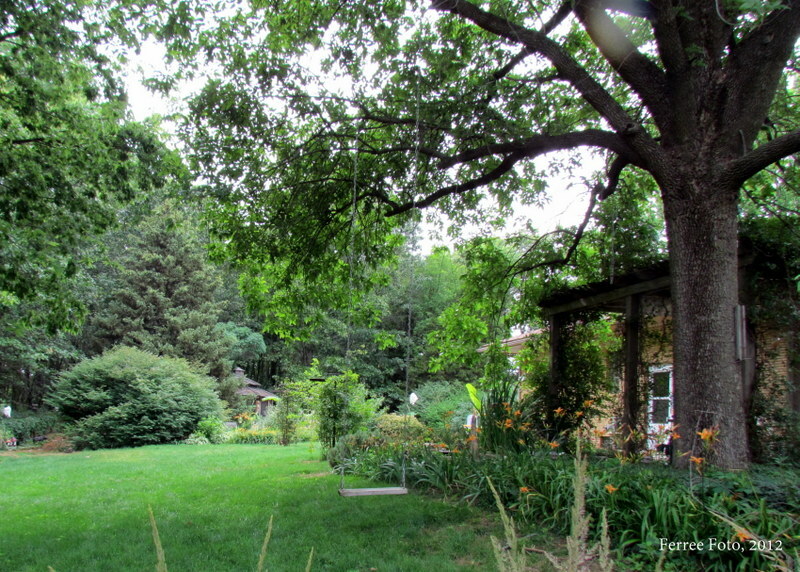 One is a high-value tree at my back patio, which also shades the house and helps reduces home energy bills. The other one is hidden among other trees in the woods. Even though the borer has not been confirmed in Mason County, I have started to treat the high-value tree. Since it is quite large, I had a professional arborist do an injection that will last two years. It costs several hundred dollars. However, economically it makes sense to keep the home energy savings and avoid costly tree removal. I did plant another tree to take its place someday. A good resource to utilize in treatment decision making is http://www.treebenefits.com/calculator/. As I did in my consideration of treating my ash, this site will provide a monetary value of what your tree is providing your property. If annual cost to treat is below the annual value provided, it makes sense to treat. If cost is above the value, you may consider removal and replacement. This of course is strictly utilitarian and does not factor in sentimental value of a tree, which may be a contributing factor as well. First, identify the tree. 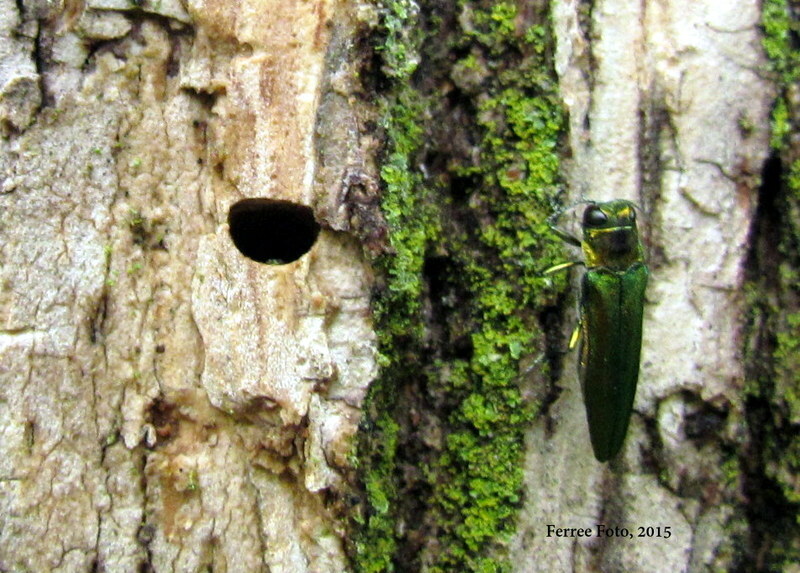 Emerald Ash Borer attacks only members of the Fraxinus genus or true ash. On true ashes, buds, leaves, and branches form directly opposite one another on the twig or branch. If they do not, the tree is not a true ash, and the EAB cannot attack it. The most common types of ash in Illinois are green, white, blue, black, and pumpkin ash. Some names are misleading -- for example, mountain ash is not a true ash. It is a member of the Sorbus genus and cannot be attacked by EAB. Second, start to look for signs of decline, starting in the upper third of the tree canopy. If the tree looks unhealthy, look for D-shaped holes about the size of a #2 pencil eraser cut in half. Anything round or larger has not been caused by EAB. However, we often don't see the holes until the trees are already severely infected. University of Illinois Extension has more information on EAB at http://web.extension.illinois.edu/eab. There you'll find a handy checklist, informational videos, and more resources on how to treat and manage this pest. There is also a link to the Illinois Department of Agriculture EAB website with info on how to report suspect trees in unconfirmed counties. Additional information on EAB and other tree pests, including a Homeowner's Guide for EAB and a variety of Webinars, can be found at www.emeraldashborer.info. This publication contains comprehensive options for how to treat EAB. http://www.emeraldashborer.info/documents/Multistate_EAB_Insecticide_Fact_Sheet.pdf It's pretty long, but there's a nice summery on page 15. You can treat trees under 22 inches DBH yourself with a soil drench, but consider the cost of injections since your tree will (hopefully!) grow over 22 inches at some point.